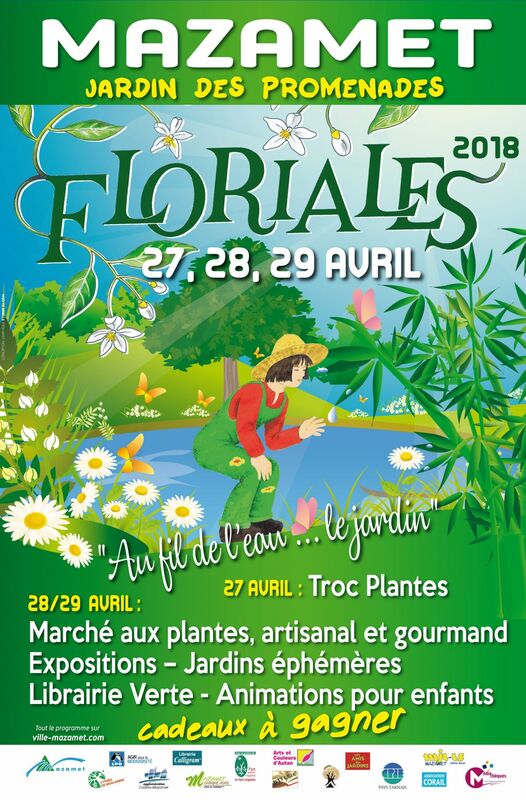 This year’s Floriales (open air garden fair) is from the 27th to the 29th at the usual spot, the Jardin des Promenades. 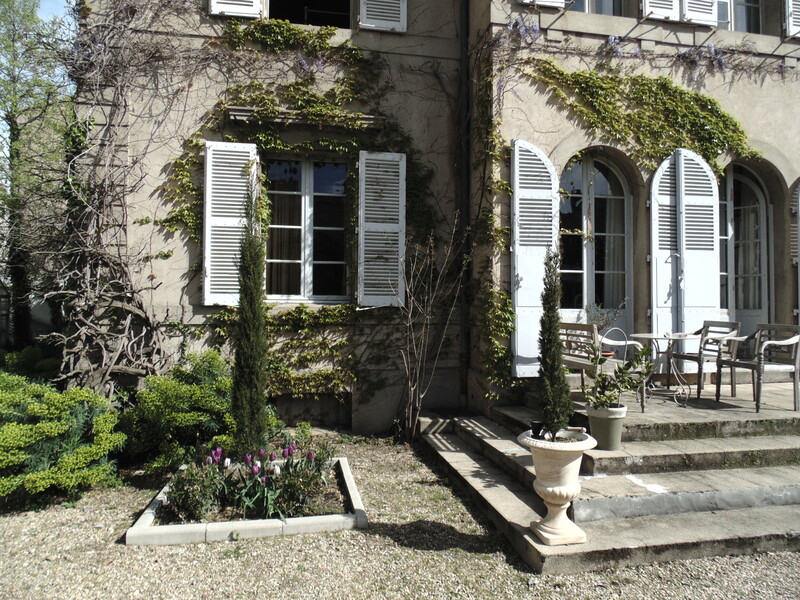 It’s definitely worth a visit, there’s a lot to see. You’ve got your own little paradise there Pink. Very beautiful. What a great place. Quiet, I suppose? Secluded? Looks like a summer of garden parties is shaping up. If only! It’s a machine. And the whole thing makes no sense because the church is permanently closed – so it’s sole purpose is to annoy me. The older one leaned over and said, ”Life is so boring. We never have any fun anymore. ”You’re on!” said the other old lady, holding up a $10.00 note. The first little old lady slowly fumbled her way out of her clothes and completely naked, streaked (as fast as an old lady can) through the front door of the flower show. Finally, the smiling and naked old lady came through the exit door surrounded by a cheering, clapping crowd. ”What happened?” asked her waiting friend. My crocuses this year were a disaster. No idea why. lovely. 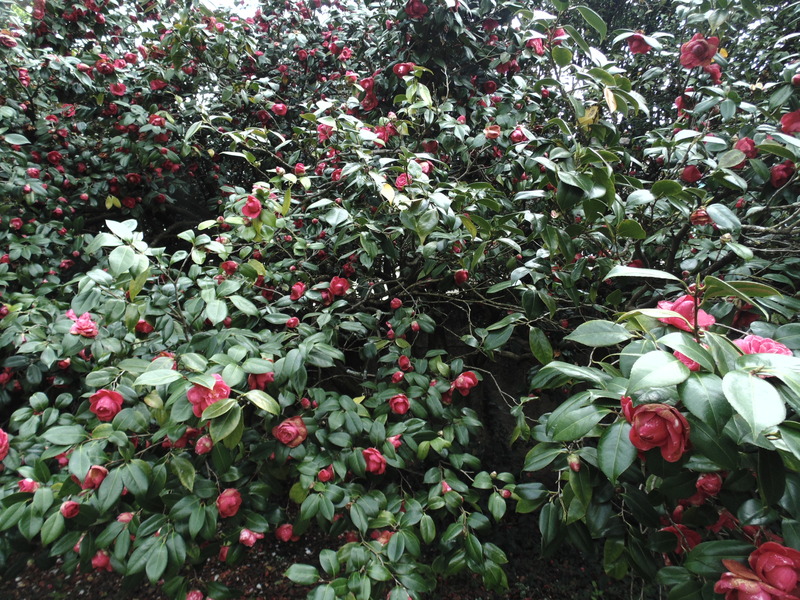 Pink, does anything eat your camellia blossoms? I’ve seen a squirrel eating one that fell off my new plant. I WISH something ate them. They make the most tremendous mess. Twice a year I have to power wash the terrace beneath them. What a quietly elegant domain you have. 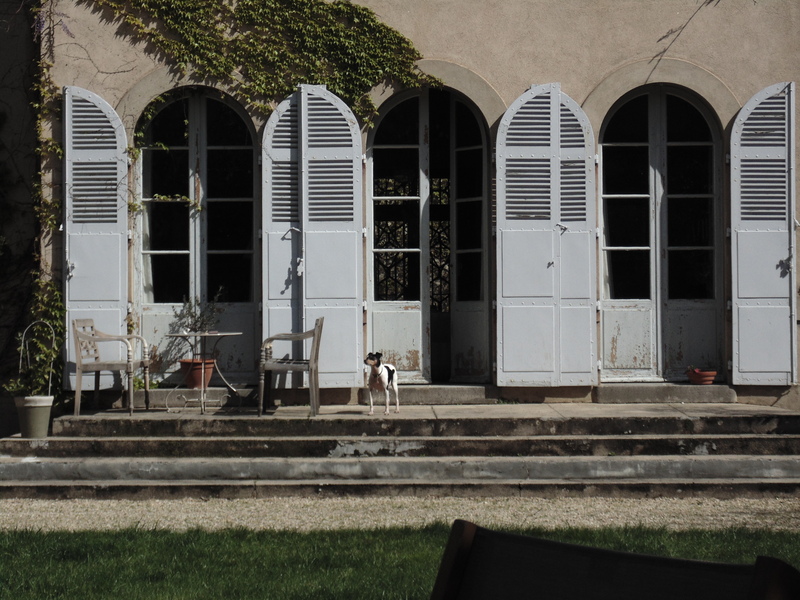 Those French doors and shutters. The light. Lovely. Haven’t you got ‘a little man’ locally who might be happy to rub down and paint? It’s not a task I’d relish. I weep for the thought of spring flowers 🌸, tulips are beautiful! Wow…your spring has really arrived, Pinky. Just lovely. You must be having good weather as your garden is a riot of color. I actually don’t mind painting, I just take it slow, never trying to finish in one day. Most of my painting projects take more than a week. I just don’t push myself hard and with my prosthetic hip I am extremely careful when working on ladders and stools. I take no chances. I like painting because I enjoy so much the results and the transformation. Most of my time is spent on taping before I paint, I really detest paint where it doesn’t belong so I take the time to tape everything. Here is a very good painting tip for you. Particularly when using oil based paints, when you are done for the day, wrap your paint roller and paint brush in plastic wrap and put them in the freezer. The next day just take them out of the freezer for 1/2 an hour or a bit longer before you start to paint, they defrost quickly. This works beautiful, just beautiful, no cleaning the paint brushes at the end of the day. I have paint brushes in my freezer still from a year ago, LOL! It doesn’t work as well with foam rollers unless you are using a high quality foam roller and then it does work just the same. So you can paint for a few days, freeze all your brushes and rollers then go back to it days, weeks or even months later. By freezing your brushes and roller it takes the pressure off that once you start painting you can’t quit until the entire project is done. This way you can stop and take days off from painting. This tip alone has really changed my entire attitude towards painting. sounds like a great tip – I’ll try that when I next have to paint something!! This entry was posted on April 16, 2018 by The Pink Agendist in gardens, Mazamet and tagged flowers, gardening, gardens, Mazamet, plant fair.